It’s summer time which means extreme heat, barbecues, water guns and fun summer parties! In my family we love to cookout and throw summer bashes, and when the kids aren’t home we may have a few drinks as well (shhh, don’t tell!). 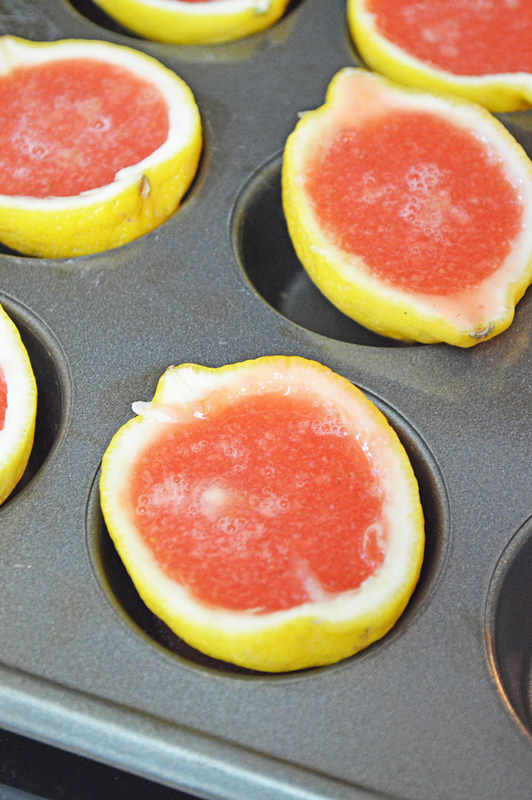 These Strawberry lemonade jello shots are a great addition to your summer fun and taste absolute delicious! 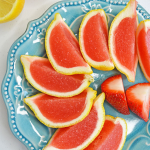 Of course you can always nix the drink here all together and just have fun shots with the lemons and strawberries, it tastes just as good and really adds a fun spark to your summer barbecues and get togethers! 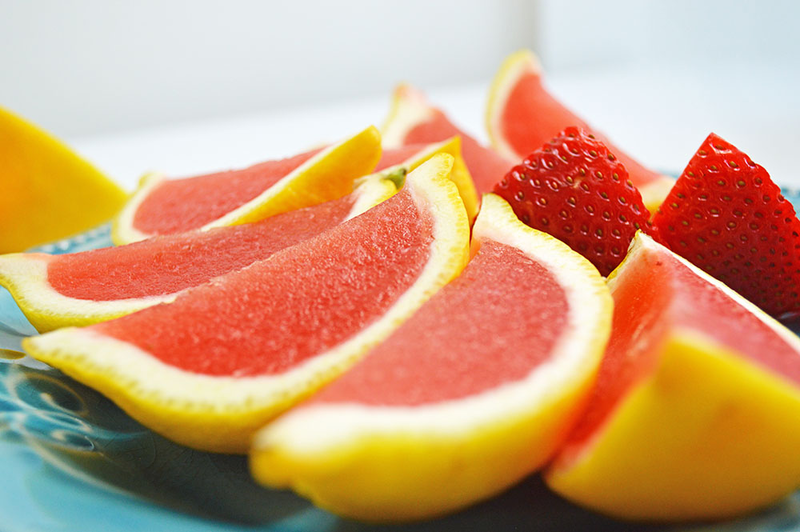 In a blender, blend strawberries and water. 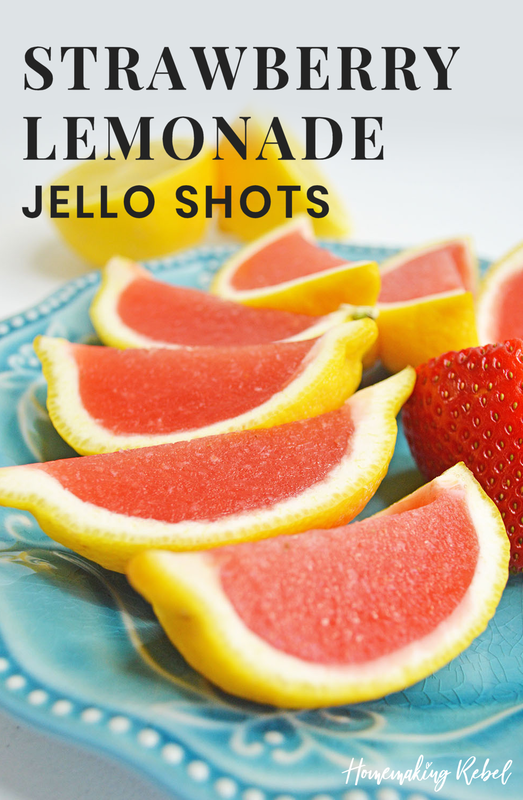 Mix in lemonade and vodka.